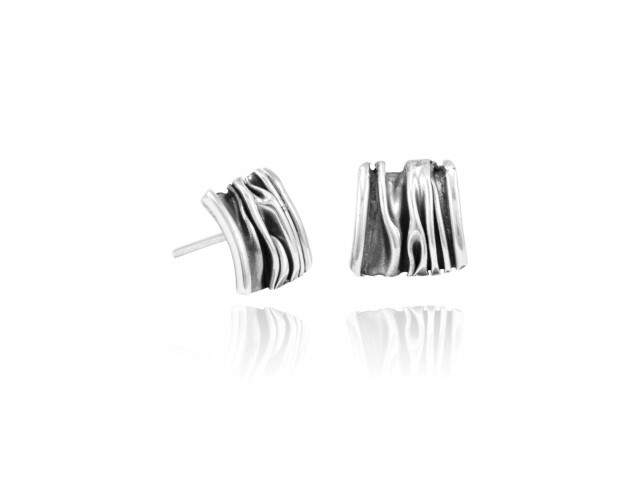 Beautiful ear studs, pieces individually crafted in pure craftsmanship, Nickel free. Dimensions: Weight 3,00 g, Width 1 cm, Length 1,2 cm, Thickness 1 mm. 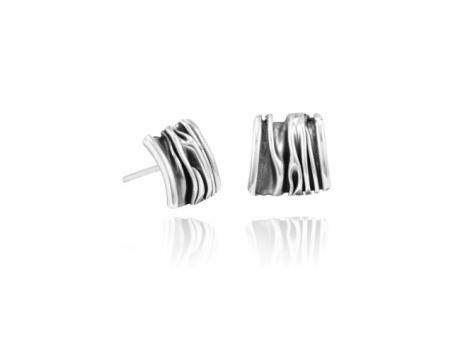 The ear studs "Cuadro corrugado", translated "wavy square", are made of high quality sterling silver 0.925, guaranteed nickelfrei and manufactured by Noe Velazquez in pure hand work. In order to achieve the special wrinkle effect, a still smooth silver plate is treated with a wooden stick, to get the folded form. The blackened indentation makes the three-dimensional surface even more effective. With the matching chain hanger and the ring the ear plugs can be combined to a great set. The Velazquez brothers ( Noé and Martin) have built a silver workshop together. Martín, who used to work as a teacher, takes care of the sales every Saturday in the market and Noe is in charge of the workshop. The brothers Velazquez have specialized in the "corrugado" technique, in which are the only workshop with this technique in Taxco. 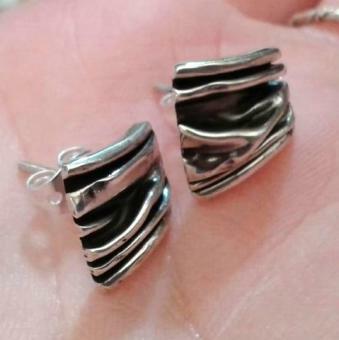 They create great, individual pieces of jewelry with this awesome wrinkle optic.